The number of women in tech is rising. In fact, Zuzana Padychova of Potential, Coupofy, and the Potential Female Founder’s Syndicate just put together the Women in Tech infographic. It finds that the number of women in tech is growing 238% faster than men. The women in tech infographic brings to life data from the top 8 tech companies and “30 trusted sources”. Those sources are footnoted at the bottom of the infographic. The Women in Tech infographic is encouraging. It suggests that recent consciousness-raising may be taking hold. A series of recent social media campaigns have prompted men and women alike to stop and think. Now more than ever before we are thinking about gender in the workplace. She received feedback on her photo mostly relating to her appearance. The feedback undermined her professionally. She responded with a simple declarative statement about her looks. The Twitter hashtag caught on and lives on to this day. 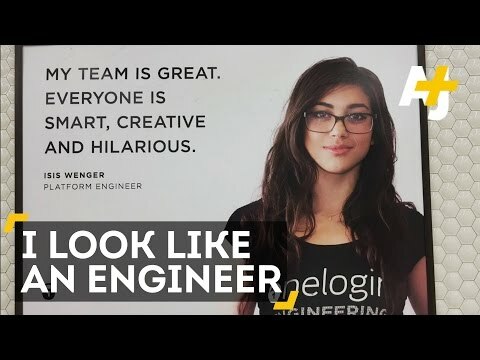 Now, Isis Anchalee helps engineers who happen to be women find one another. As for Isis Anchalee? She is organizing a team to develop a safe platform for women to continue to share their stories and experiences relating to diversity issues in tech. The book by Facebook Chief Operating Officer Sheryl Sandberg Lean In: Women, Work, and the Will to Lead examines women’s will to advance themselves in an organization. To move forward, women must lean in to be counted. Her book sparked a dialog about what holds women back at work and about how, at times, we hold ourselves back. While we have miles to go particularly at the senior executive level, the women in tech infographic is encouraging. 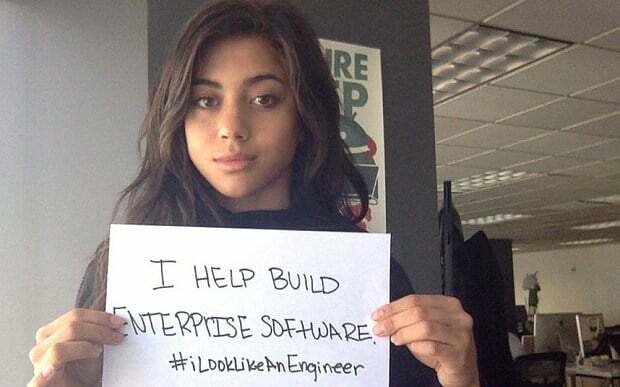 Sheryl Sandberg would be proud: women really are leaning in. The numbers are starting to prove it. To continue in that effort, we encourage you visit LeanIn.org. I head a retained search firm, The Good Search. We specialize in senior executive search in technology. We do a great deal of work in diversity recruiting. We help Fortune 500 companies that want to become more diverse, particularly at the C-Level. Our recruiting research firm, Intellerati, supports diversity recruiting efforts by ensuring inclusion. In 2016, we have an opportunity to make a real difference. I invite you to join us.